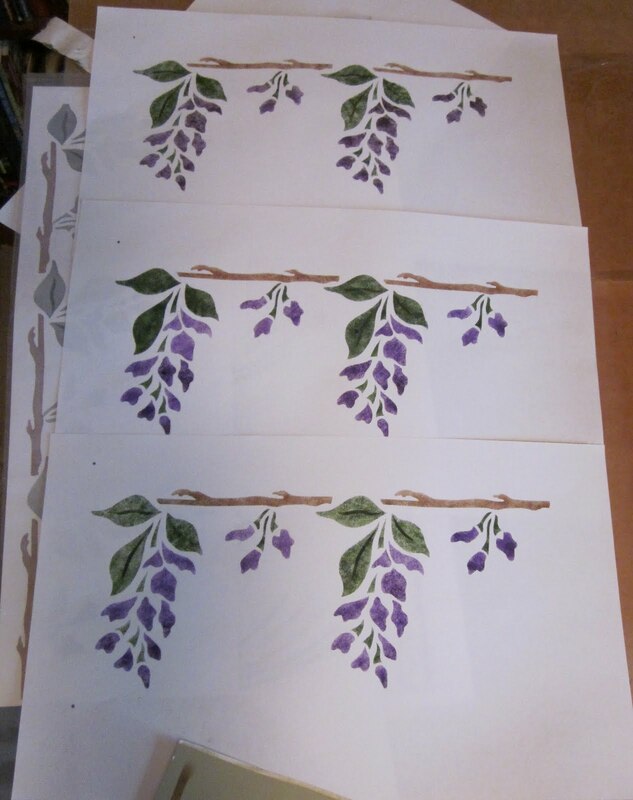 Anxious to get started on some project for the house, Sharon decided to try and figure out the stencil plan for the living room. She had previously purchased this Tulip Pendant stencil from Trimbelle River Studio, but it turns out it's too big. So a change of plan was in order! Sharon decided to give this stencil a try and see if it would work. 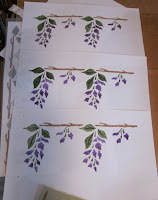 Plus the stencil has the feature of having some purple color in it! (Sharon's favorite.) 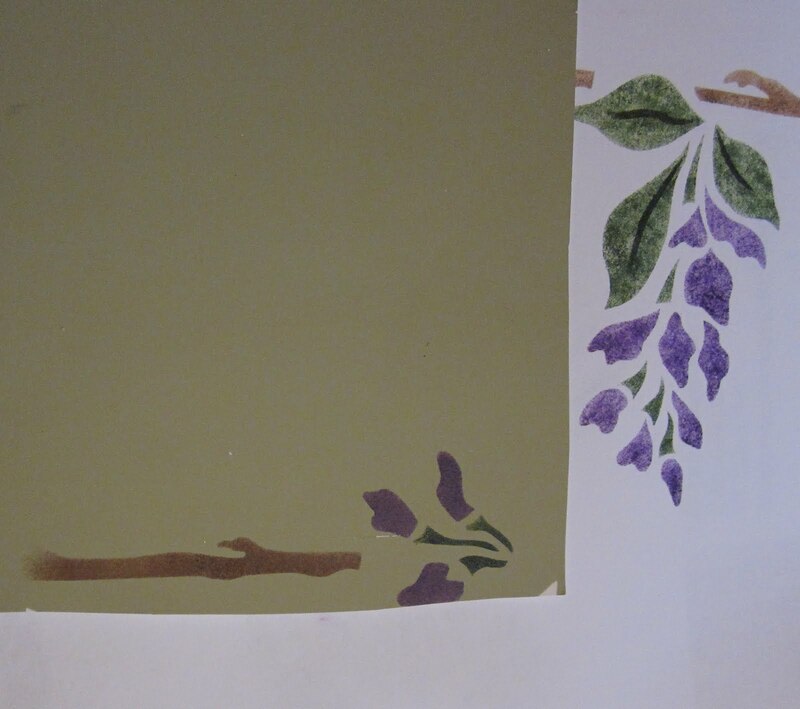 This stencil was purchased from the American Home Stencil's Arts & Crafts collection. 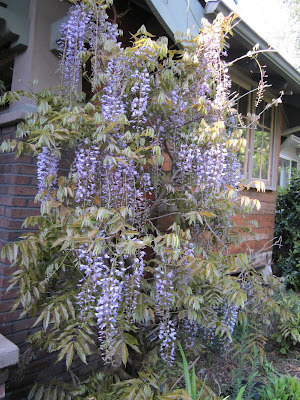 It is inspired by this beautiful wisteria beside the front entry. Sharon practiced this one quite a few times. 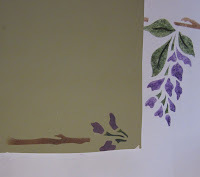 And also tried a small bit on the actual paint sample for the living room to see if the colors were dark enough. It's possible it's a little small for the frieze in the living room, but Sharon can't find one that's larger but not too large. We may go ahead and use this one anyway.